Yesterday a news article caught my attention. The article was about new flights being announced by United Airlines. To my surprise United Airlines will start providing service at the Stockton Metropolitan Airport next August. Currently the only scheduled air service from Stockton is on Allegiant Air which is not very convenient for business travel. 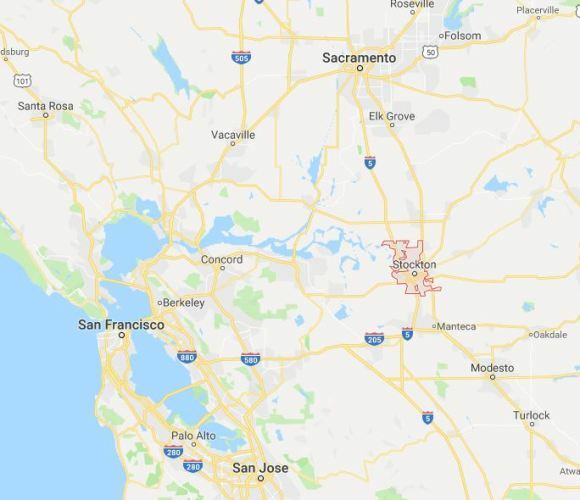 Because of how close Stockton is to major airports in the Bay Area and Sacramento they have always had a hard time attracting and keeping airline service. It is easy for people to shop around and get good prices for flights from nearby airports when they want to go on vacation. However, this is not so good for businesses or events that want to attract people to Stockton. For someone to get to Stockton today they have a lengthy drive once they arrive at one of the major airports. 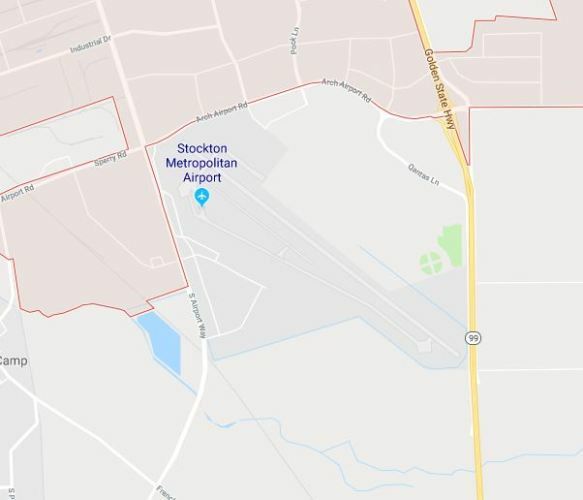 The airport in Stockton has only two runways, the longer one is 10,650 feet long and the shorter one is 4,448 feet long. 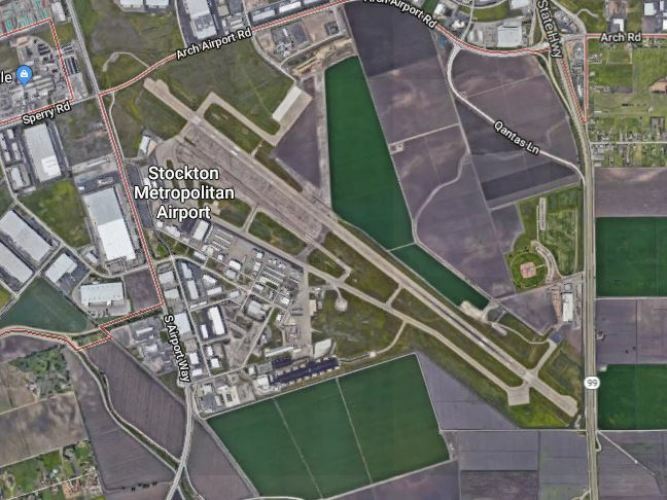 The long runway is definitely needed for the cargo flights that fly in and out of Stockton. The picture above is from Google Maps Street View. The terminal is not too big, but can process up to 400 passengers at a time. This should pose no problem for the new flights as they will be on a smaller jet. When I first moved to the area back in 2001 there was scheduled service from Stockton on America West to Phoenix. Soon after I moved here I flew on America West to Phoenix during a trip to Mexico City before they discontinued service later that year. I was a bit disappointed as it was really convenient. The flights for United Airlines from Stockton will be to LAX and there will be two flights daily. The flights will utilize the CRJ200 regional jet. I am hoping that the flights will have high load factors and that United Airlines will eventually expand service to Denver or even Chicago. However, I am glad that for now that they will be resuming service from Stockton after a 39 year hiatus. I have thought of the possibilities of using the service for some of my travel since the airport is only about 20 miles away. There are some limited scenarios where it may work out better than driving to SFO where I can get direct flights to most places I need to go. However, for now SFO is still where I will be flying from. 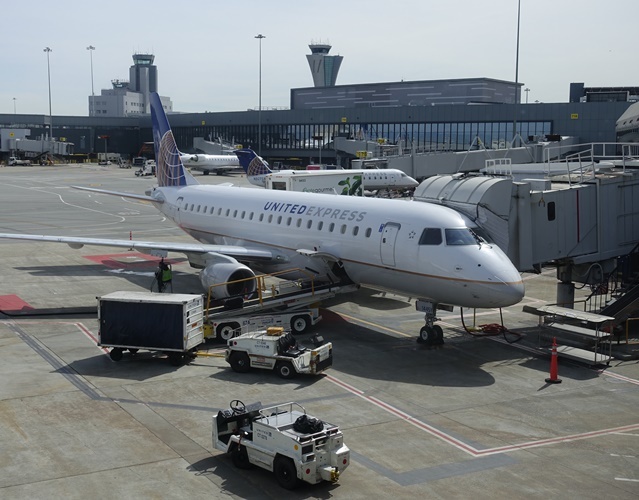 This entry was posted in California, Local, transportation, Travel and tagged airline, airports, CRJ200, Regional Jet, Stockton, Stockton California, United Airlines. Bookmark the permalink.